Marketing automation can be as simple as an auto-responder or a complex mix of automatic actions including triggers, emails, drip campaigns, workflows, and more. Whether you are just starting out, or have jumped in with both feet, marketing automation yields fantastic results if implemented properly. For all of the beginners out there, I would like to identify a few ways that you can start your marketing automation. First, you must identify what you need to automate. Do you want to automate follow up emails once someone has signed up on your site? Do you want to automate your lead nurture campaigns? Your onboarding process? Start small. Once you have a list of what you would like to automate, select one. I would suggest starting with signup forms and auto-responders. This is simple marketing automation that you can easily setup and put into action pretty quickly. Once you have selected your starting point. It is time to think about the purpose of this automation. What are you trying to accomplish and what value does it provide the consumer? Let’s use the signup form and auto-responder task as a starting point. What is the purpose of the signup form? The purpose of your signup form is to generate leads and grow your database. You need to think about the data you would like to collect and include that in your signup form. Remember, you will be using this data to send personalized messaging to contacts who sign up on your website. Once you decide on the data you want to collect, it is time to create your form. 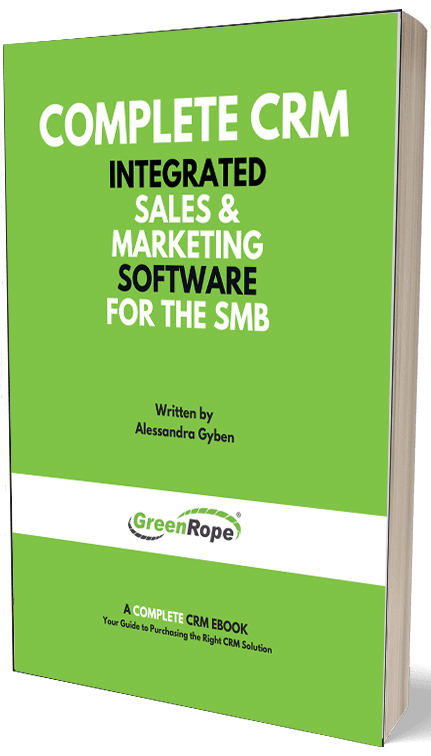 You should be using a system, such as GreenRope, that integrates right into your CRM so you can use the information for nurturing and future data management. Once you have created your signup form, it is time to think about the content they receive once they have opted-in. Remember, always use a double opt-in process, so you maintain the integrity of your contact list. Thinking about your auto-responders/follow up emails. The purpose of your auto-responders and signup form follow up emails is to catch the attention of your lead and get them to engage with your brand and lead them down your sales funnel. If your company offers a number of different services or products, you will want to send relevant information/content to them based on what they are interested in. For example, if you offer website design, social media, and PPC management, and the lead requested more information about PPC, do not send them information about web design or social media. Using the example above, create three different emails with specific content geared toward each of your services. You can also use Dynamic Data Merge rules, so that you can use one template, but provide different content based on rules you setup within your marketing automation platform. Tip: Some platforms come with built-in logic, so that you can easily segment your contacts based on the data you collect in your signup form. This is a great way to organize your contacts and create automated campaigns based on this data! Once you have built your signup form, created your auto-responders/drip emails, it is time to think about what comes next. Do your sales people follow up with a phone call? If they open all of your emails and click on your links, are they added to a second campaign with more information? These are all aspects of lead nurturing and automation that you must start thinking about. I suggest creating a customer journey map highlighting the different stages each lead goes through from the time they signup on your website and how they progress as they receive your emails and either click or don’t click on your content. A visual guide will help you organize the way you setup your automation strategy. For example, when a person signs up, do they immediately get an email and a phone call from a sales person? What if they do not open your email, do you resend it? All of these may seem small, but play a big and important roll in your lead nurturing. Back to workflows. If a lead signs up and starts receiving your emails, is a salesperson notified to follow up with the lead? This is where workflows come into play and are quite helpful in streamlining your overall process. To learn more about workflows, click here. Workflows consist of a series of actions that happen as a result of a specific behavior, such as signing up on a signup form, perusing your website, clicking on a link in your email, etc. If you would like a salesperson to follow up with your leads once they signup, you should develop a workflow that prompts your salesperson with CRM activities, so they can follow up in a timely manner. Here is an example. This is a very basic workflow, but a good example of how you might set one up, so that you follow up is streamlined and every lead goes through the same process. Put your plan into action and test! Marketing automation takes strategy, persistence and testing. Once you set up your first go at marketing automation, see how it performs for the first couple of weeks. Track your read rates, conversions, click throughs, and more to see how well your content is resonating with your contacts. For more information about marketing automation, download my latest ebook, Marketing Automation: The Basics.